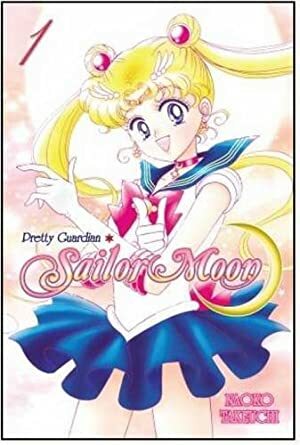 Sailor Moon was a 1990s manga — inevitably adapted as an anime — starring young super-heroines defending Earth. It was enormously successful, particularly in Japan. It redefined the “magical girl” genre, and served as a gateway into anime for many Western kids. It is also notable for its almost all-women cast, oft-goofy nonsense, and various non-gender-conventional characters (though the latter aspects were deliberately erased by the English translation). 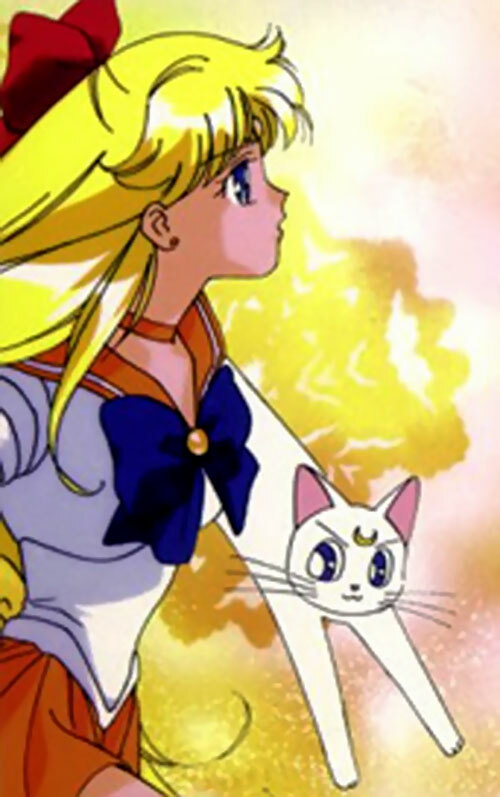 This profile covers Sailor Venus at the end of the Dark Kingdom Arc of the television version. Since there were originally no plans to continue the series beyond that point, it is the most self-contained of the arcs. However, a few things revealed later in the series (or which are exclusive to the manga, but uncontradicted in the TV series) are referenced in this profile, in order to give it depth. The most notable instance is Minako’s artistic skills. Known Relatives: Mother, Father, Younger Brother (all unnamed). Group Affiliation: Sailor Senshi . Base Of Operations: Tōkyō, Japan (London, England, as Sailor V). Minako Aino is a skilled stage performer (aspiring to be a singing idol someday). She’s also a very athletic and tough young lady, capable of making surprising leaps (such as from the ground to a second-floor balcony), even outside of Senshi form. Superhuman strength (for a girl her size and age). The ability to make superhuman leaps. The ability to give cool intro speeches without getting interrupted (usually). This signature attack, the Crescent Beam, is a laser fired from the tip of her finger. She is accurate enough with this to reliably shoot people’s hands from a pretty fair distance. It should be noted that the Senshi Team Attack quite a bit, combining each other’s signature attacks for greater effect. One thousand years ago, the previous incarnation of Sailor Venus was the leader of the Sailor Senshi, Princess Serenity’s bodyguards. In spite of being a secondary leader these days, her present incarnation possesses solid leadership skills, as well. The Senshi appear to become a good deal more noticeable when in Senshi form, and are urban legends in Tōkyō. As a team, the Senshi may make use of two powerful Rituals, one of which Teleports them great distances, the other of which creates a Force Field. Minako and Usagi are unique among the senshi, in that they seem to come from perfectly ordinary families. 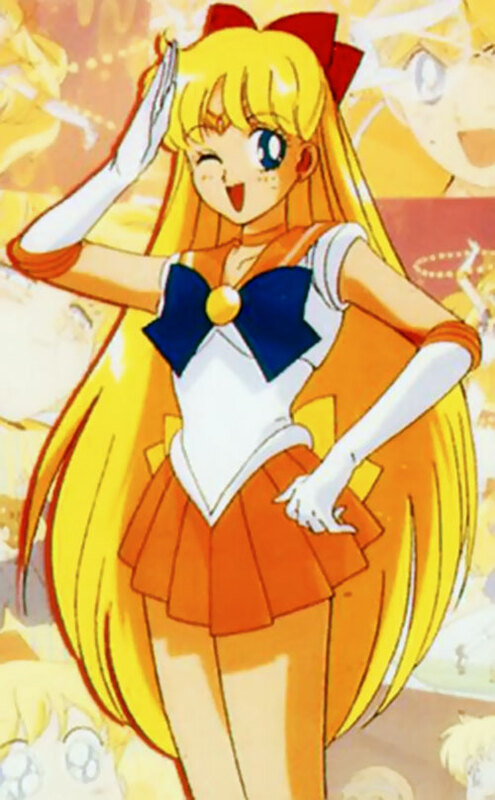 About a year prior to the series, Minako encountered Artemis, who revealed her identity as Sailor Venus. Shortly thereafter, she chased a Dark Kingdom foe to England. There she met an Interpol officer named Katarina, to whom she revealed her identity. Katarina became like a sister to her, teaching her English and fighting common criminals and occasional Dark Kingdom agents by her side. 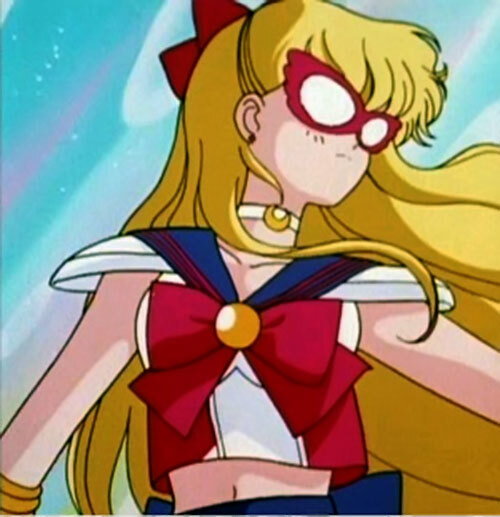 In the guise of Sailor V, Minako soon became a world-famous superhero. She gained the love of the media, who made dolls, movies and videogames about her (without her permission or input). Yet she was mistrusted by the police, who were often made to look like fools due to her abilities. Minako also revealed her identity to a somewhat older man man named Allan, whom she had fallen in love with. Unfortunately for Minako, as soon as she introduced Allan and Katarina to each other, they fell in love and began a relationship practically under her nose, without the Senshi of Love noticing. …until the day Sailor V and Katarina were apprehending a dangerous criminal, who had holed up in a warehouse. V went in first, leaving Katarina outside. As he ran out the back entrance, the criminal threw a firebomb at Minako’s feet that leveled the warehouse. Katarina, who believed Minako had died in the explosion, fell sobbing into Allan’s arms, and Minako (who was somewhat beaten up, but otherwise fine), saw that the two were in love. Heartbroken, she quietly snuck away, allowing them to think her dead, and returned to Japan. She finally revealed herself to the other Senshi after rescuing them and Tuxedo Kamen from a trap set by Kunzite and Zoicite. She finally met Katarina again, when the Dark Kingdom General Kunzite discovered the Interpol agent’s connection to Sailor V. Infusing her with wicked energy he used Katarina to try to pry the other Senshi’s secret identities out of Minako. When that failed, Kunzite transformed Katarina into a youma (demon) who tried to kill Minako. Saved by Usagi, Katarina revealed her past to her. When the Katarina-youma attacked again, Venus refused to let Sailor Moon kill her, begging her to heal her instead. Thus, Minako and Katarina were reunited, and Minako finally let her feelings for Allan go. Venus fought alongside the other Senshi until their siege on the Dark Kingdom’s base at D point in the Arctic. She died to save Sailor Moon’s life, taking one of the youma group known as the “DD Girls” down with her. 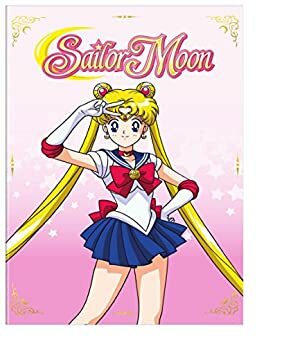 When Sailor Moon used the Silver Crystal to defeat Queen Beryl/Metallia, restore herself, the Senshi and Tuxedo Kamen to life, and to remove all memory of the Dark Kingdom from humanity’s memory, Minako was able to re-assume the life of a normal teenage girl. 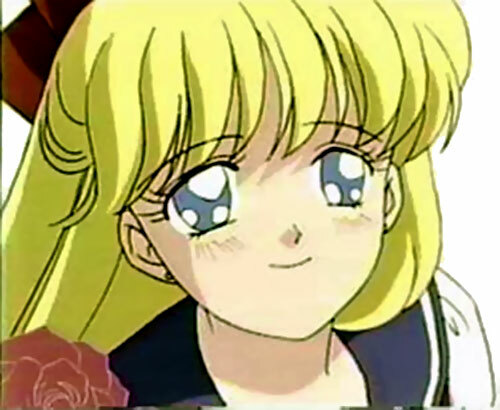 Minako is a pretty young teenager with light blue eyes, and knee-length blonde hair, which she usually wears loose, with a red bow. 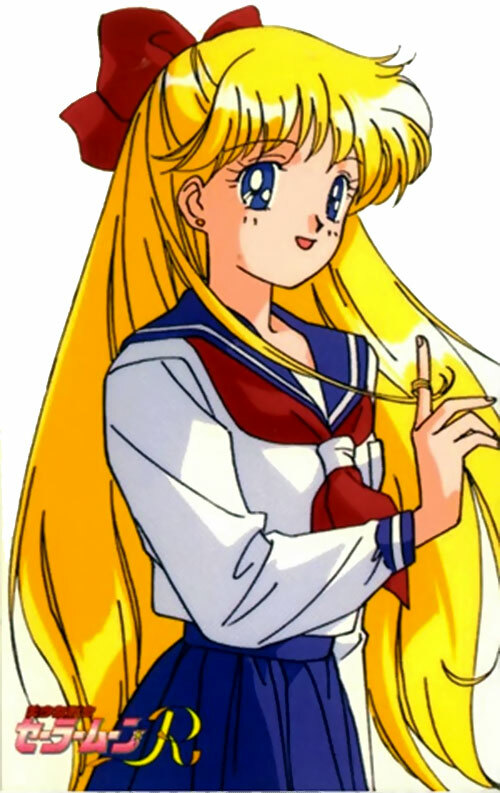 As Sailor Venus, she wears a sailor fuku (school uniform) with a short orange skirt, a dark blue bow on her chest, and a yellow one on her lower back. She also wears an orange choker, orange high heeled shoes and white elbow gloves with orange elbow pads. Small orange earrings and a gold tiara with an orange jewel complete the outfit. As Sailor V, she wore a red-white-and-blue fuku, and a fancy domino mask. During her first appearances in this arc, Minako is a dedicated, serious Senshi, and obviously a skilled and clear-headed secondary leader. She loosens up quite a bit as the series goes on. She acquires a tendency to be somewhat silly, playful and hyperactive when not “on the clock”. She has a particular tendency to mangle proverbs or use ones that don’t quite work with the situation. She is protective of her friends, and if they are depressed or sick, she does her best to help them. After the era covered by this profile, she becomes a great deal more flighty, exuberant, scatterbrained, and childish – almost a caricature of the blonde stereotype. It’s assumed that this personality change comes as a result of being relieved of the pressure of being a solo fighter, as well as finally getting over Allan. However, she always takes her duty as a senshi seriously, and remains a truly responsible and sincere person. Of all the Senshi, she gets along best with Usagi (when she’s off-duty, their personalities are quite similar) and Makoto (with whom she shares bad luck in romance). Minako and her moon cat Artemis have a a sibling/mentorish relationship similar to Luna and Usagi’s. Artemis is a good deal more laid-back than Luna, and tends to be more patient and long-suffering with Minako than Luna with Usagi. Yet he’s not above the occasional snide comment at Minako’s expense (which usually gets him smacked). Minako: “I’m glad to see you’re okay ! As they say: “A healthy horse is a happy horse” ! Minako: “It’s one of those “Ask and you shall be answered” things. There are hardly any super heroes in Japan anyway, so the Senshi could be dropped in with few problems, although it would probably be necessary to move the Dark Kingdom’s base out of Superman’s backyard. Another idea is to have the senshi represent the Roman gods they’re named after instead of their planets. This would probably make them part of the Wonder Woman family (and likely give them vastly different or more expanded powers). During her solo days Sailor V may have encountered other teen superheroes. They would likely be very startled to find her alive if they make the connection between her and Venus, especially since she was a lot more serious and driven as Sailor V.
In a campaign without Sailor Senshi Minako herself might be a useful supporting character, as a rather athletic singer who gets kidnapped and needs rescuing, thus granting the heroes a useful contact in the entertainment industry, etc. Insta-Change, Lightning Reflexes, Languages: (English, Japanese), Pet: Artemis, Local Hero (Tōkyō), Leadership. Alter Ego: Minako Aino (Controllable), Secret Identity. As Sailor V, Minako possessed all current Powers and Skills, but also had worldwide Popularity, Mistrust, and two Confidants, Allan and Katarina. Allan was a normal person, but Katarina was an Interpol officer. After faking her death and moving back to Tōkyō, Minako lost access to them. However, by the end of the season, she may have regained Katarina as a High Connection. 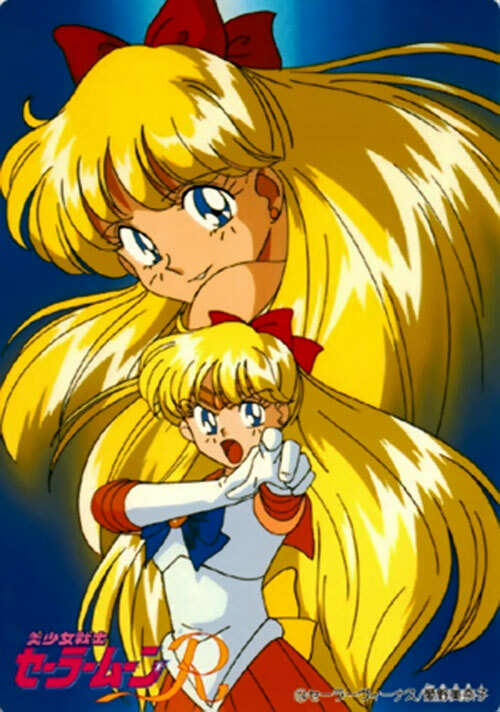 Age (Young), Alter Ego: Sailor Venus (Controllable), Secret ID. Transformation Pen [BODY: 01, Insta-Change] : Allows transformation into Sailor Venus. Communicator [BODY: 01, Radio Communications: 08, Bonuses: Radio Communication has a visual aspect, and is Scrambled]. Effect: Teleport rated at 2APs for each senshi participating, plus 10 APs, if Sailor Moon also participating. Special Requirements: More than one Senshi must be present, Senshi performing ritual must be conscious and in physical contact. Effect: Force Field rated at 2APs for each senshi participating, plus 10 APs if Sailor Moon is also participating. Dimensional Travel has the Tesseract Limitation, and is only for non-living matter. Telepathy may only be used on those who can see the crescent moon on his forehead. Languages (Human), Expertise (Moon Kingdom History). Loss Vulnerability (All Powers but Claws, Jumping, Directional, Extended and Super Hearing and Ultra Vision, Languages, as well as the top 4 APs of Mental and Mystical Attributes if the crescent moon on his forehead is physically covered up), SPR (a cat). Artemis’ intelligence helps offset his physical restrictions, rendering his feline nature an SPR, rather than a CPR. Her cat, Artemis, is actually one of two survivors of a race of moon cats, and retains a great deal of knowledge about the Silver Millennium, as well as being skilled at gathering information, and able to sense evil auras at work. If necessary, he will leap into the fray himself, if only as a distraction. He’s also rather resistant to mental control. Note that while transformations and attacks seem to take quite an amount of time in the Anime, this is mostly eye candy. The context shows that both are in fact practically instantaneous. 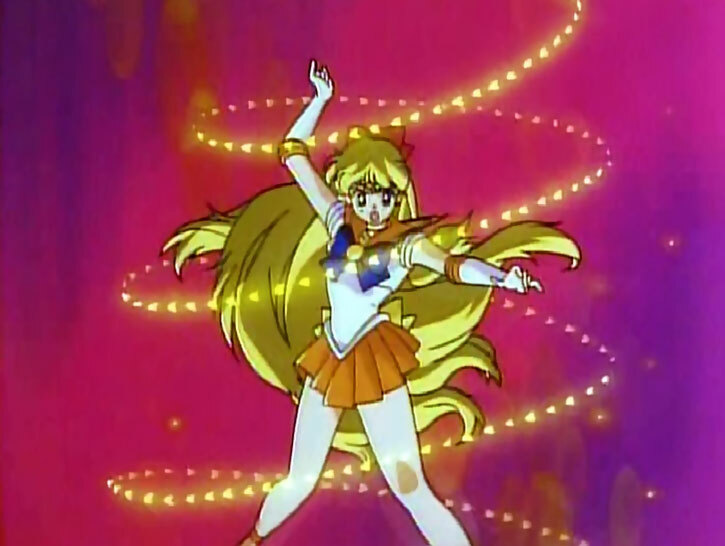 Sailor Venus’ HPs are higher than the other Senshis’, because of her solo crimefighting in England. Source of Character: Sailor Moon(Episodes 1-46).